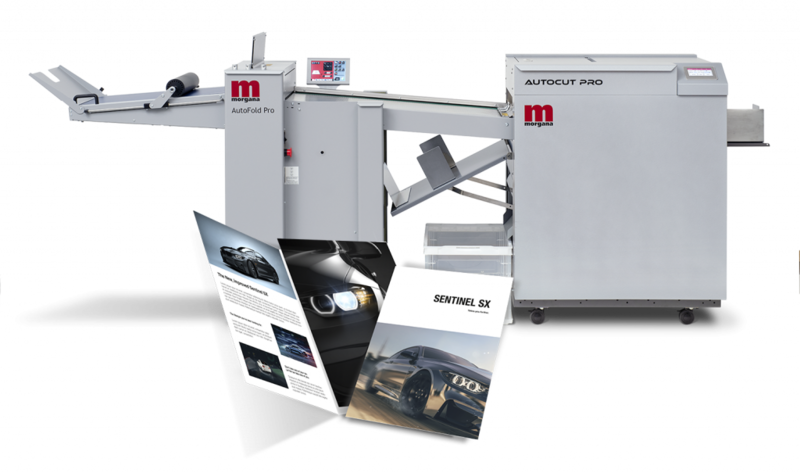 The AutoCut Pro’s unique capabilities enables you to cut the lead and trail edges, bleed trimming the top and bottom, creases, and when linked to the AutoFold, the ability to fold the finished documents. 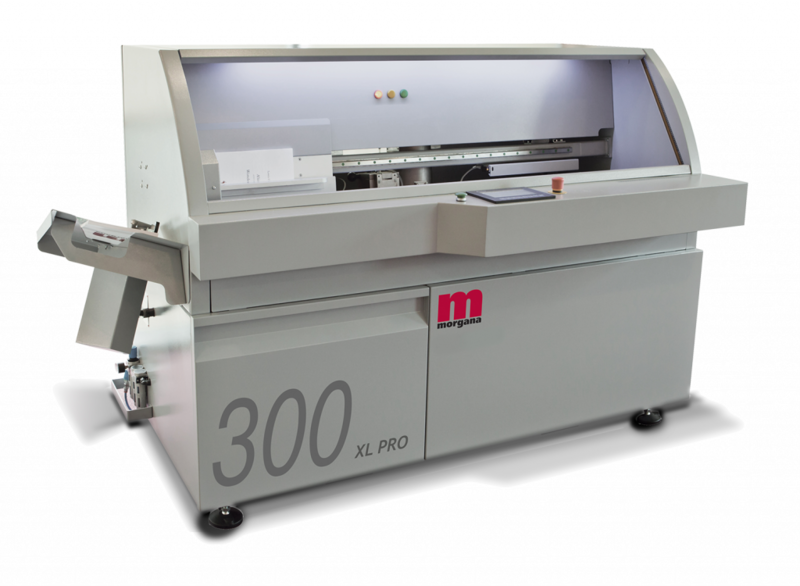 Morgana are pleased to launch the new AutoCreaser Pro 33A. 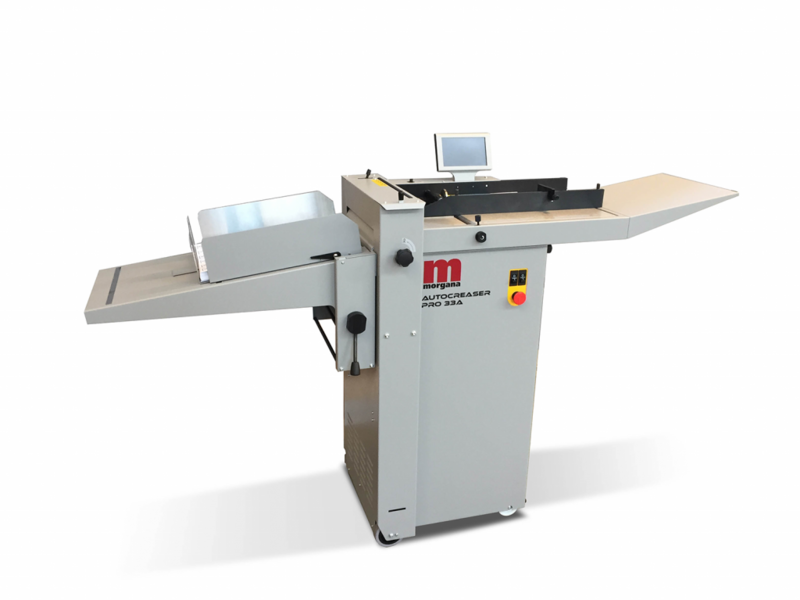 The AutoCreaser Pro 33 runs at 8,500 A4 sheets per hour, and 11,000 A5 sheets per hour. Now fitted with a NEW ‘QuickBlade’ creasing blade that can easily changed in a few seconds without needing any tools, making it our most productive creaser to date. The optional perforation kit gives the ability to perforate along the direction of sheet travel, cross perforate and part cross perforate, widening the range of applications the AutoCreaser can produce, this includes vouchers and tear off tickets. PUR PERFECT BINDERS: Create wonderful 11 x17” landscape books with the DigiBook 300 XL Pro, or choose from a range of entry level to high volume automatic systems – the perfect PUR solution for all levels of production. 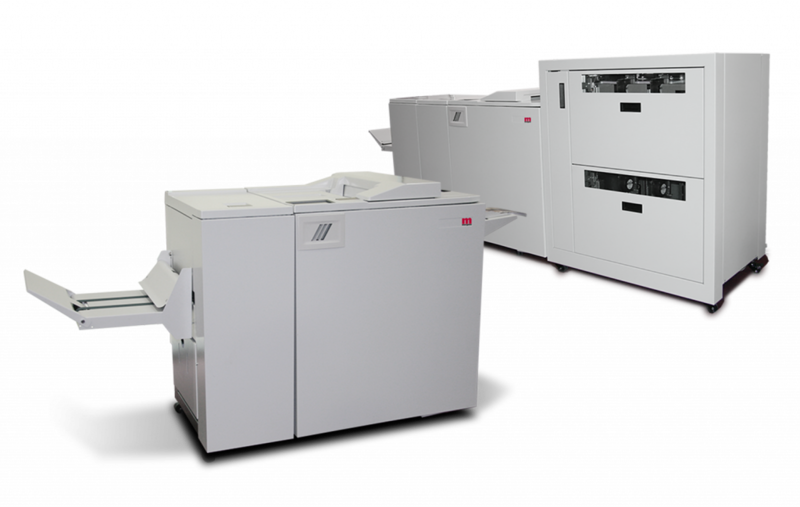 BOOKLETMAKERS: From entry level to high productivity systems, with a wide range of feeding options including the NEW VF602 suction feeder. Booklets from 4 pages to 200 pages with the SquareFold spine finish available for all models.